Imagine yourself growing up around the wrong people. Because it’s easy, you fall into the wrong crowd. Blink, and you’re in. Deep. A victim of impossible circumstances, it’s not long before you’re in the wrong place at the wrong time. In the reflexive moment — impulsively and without thought – you do the wrong thing. A thing so terrible, it forever alters the trajectory of your life. A thing so unimaginably horrible, you dedicate the rest of your life in service to atonement. 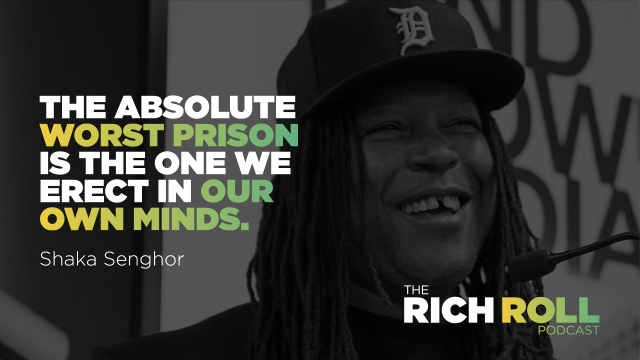 This is the story of Shaka Senghor. At the age of 19, Shaka shot and killed a man. Convicted of second-degree murder, Shaka would spend the next 19 years in different prisons, seven of which were spent in solitary confinement. While inside, Shaka made a decision. A decision to fully own his circumstances. A decision to transcend victimhood, understand his past, free his mind and expand his thinking. When he wasn’t voraciously reading, he wrote. And it was through this relentless commitment to knowledge, self-understanding and compassion that he ultimately pulled himself out of the anger that led to his incarceration and prevented him from reaching his full potential. Released in 2010, Shaka did not return to a life of violence. Instead, he committed himself to one singular idea: that our worst deeds don’t define who we are, nor do they prohibit our contribution to a better world. Fidelity to this ideal transformed Shaka’s utterly broken life into one of meaning, purpose and advocacy. Now a leading voice in prison reform, he is a powerful public speaker, a Senior Fellow with the Dream Corps, a 2014 TED Prize finalist, a former MIT Media Lab Director’s Fellow, a former University of Michigan lecturer, a current Fellow in the inaugural class of the W.K. Kellogg Foundation’s Community Leadership Network and the founder of The Atonement Project. In addition, he recently launched Mind Blown Media, a new media company that aims to create high-impact content focused on the criminal justice system and mass incarceration. Shaka’s memoir, Writing My Wrongs: Life, Death and Redemption in an American Prison debuted on The New York Times Best Seller List as well as The Washington Post Best Seller List. He has been interviewed by Oprah and his TED Talk, which received a standing ovation, has been viewed more than 1.4 million times and was featured by TED as one of the most powerful TED Talks of 2014. Shaka has appeared on CNN, CBS This Morning, The Daily Show with Trevor Noah, Good Day New York, and he has been a guest on numerous radio programs, including NPR’s All Things Considered. And if all that isn’t impressive enough, Shaka is the recipient of numerous awards, including the 2016 EBONY Power100, the 2016 Ford Man of Courage, the 2016 NAACP Great Expectations Award, the 2015 Manchester University Innovator of the Year, and the 2012 Black Male Engagement Leadership Award. I’m honored to share Shaka’s powerful story with you today. It’s a story about what it takes to truly turn your life around. It’s a story of what’s required to overcome impossible circumstances, childhood trauma, drugs, gun violence and crime. And it’s a story about atonement — the hard-fought journey to redemption, forgiveness, gratitude and service. At times intense and haunting, my hope is that our conversation will stick with you. Catalyze you to think more broadly about your past harms. 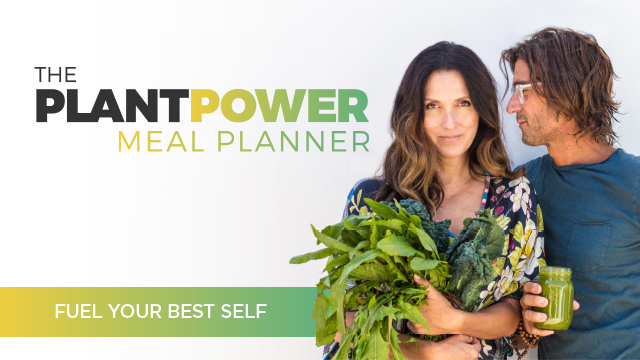 Inform how you can better conduct yourself moving forward. And inspire you to invite more gratitude, advocacy and forgiveness into your own life. Democracy Now: Strange Bedfellows: Why Are the Koch Brothers & Van Jones Teaming Up to End Mass Incarceration?